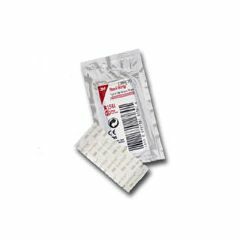 Steri-Strip skin closures are widely used in hospital A&E and theatre departments. Quick and easy to apply, they hold the edges of an incision or laceration together. This enhances healing through rapid development of wound tensile strength. Skin closure strips ensure superior cosmetic results and reduce scarring caused by puncture marks or cross hatching. easy to use. keeps wounds closed. mostly waterproof.